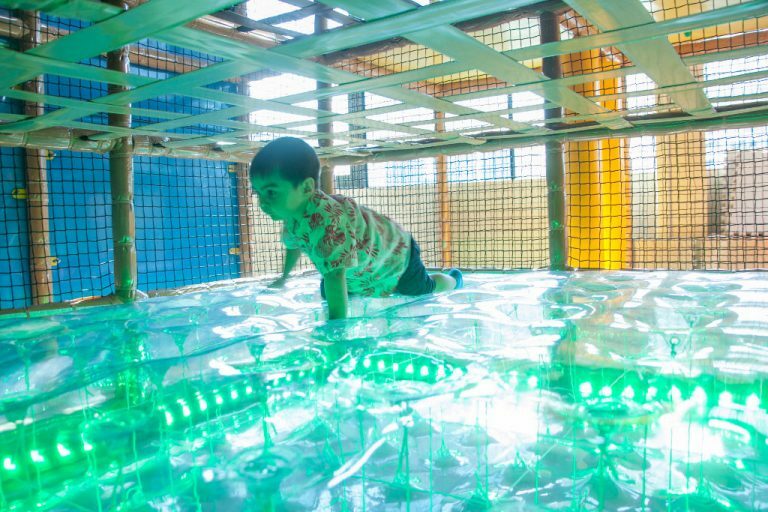 From a trampoline that changes colour to a volcano to scale, and even an adventure obstacle course, there’s plenty to keep the kids busy at Waka Waka by The Polliwogs. 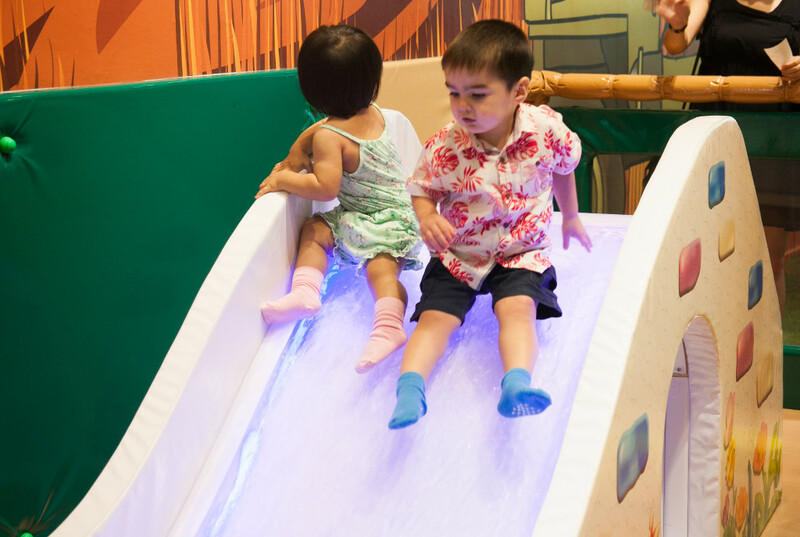 The Polliwog’s latest play arena looks rather different from its other branches at Suntec City, VivoCity or Eastpoint Mall. 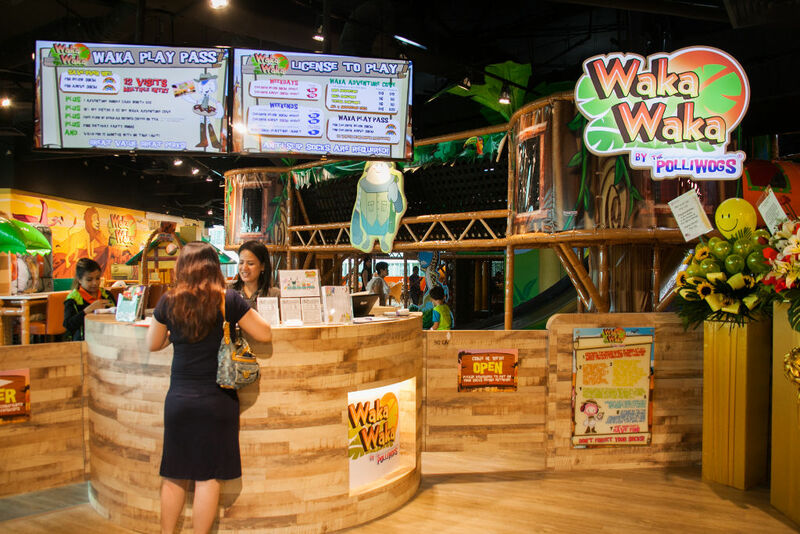 A safari-themed indoor playground, Waka Waka features a fun new concept designed to appeal to toddlers and kids up to 14 years. It just opened in December 2016 and is located within Annex@Furama on the fifth floor of Furama Riverfront. My budding adventurer, Elliott, was of course really geared up to discover where we were headed. He was even more excited when we actually arrived. For one thing, the place was huge! 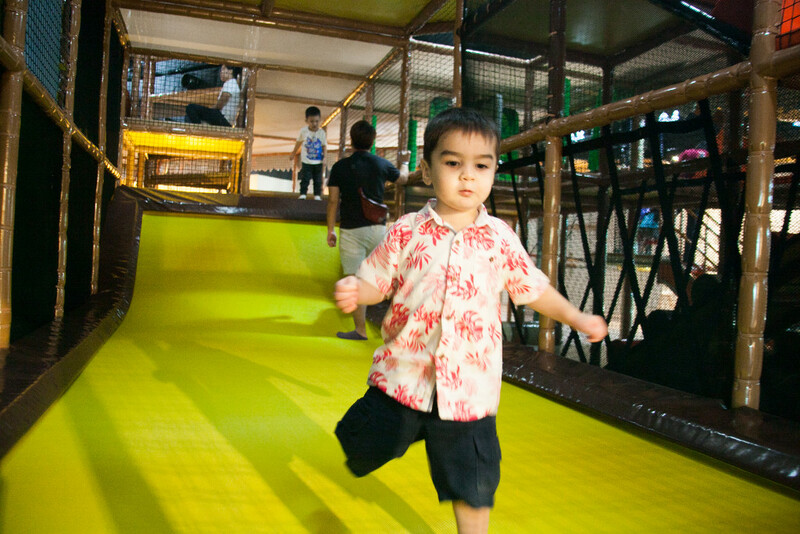 The area designed for toddlers is by far the most fun one we’ve been to. 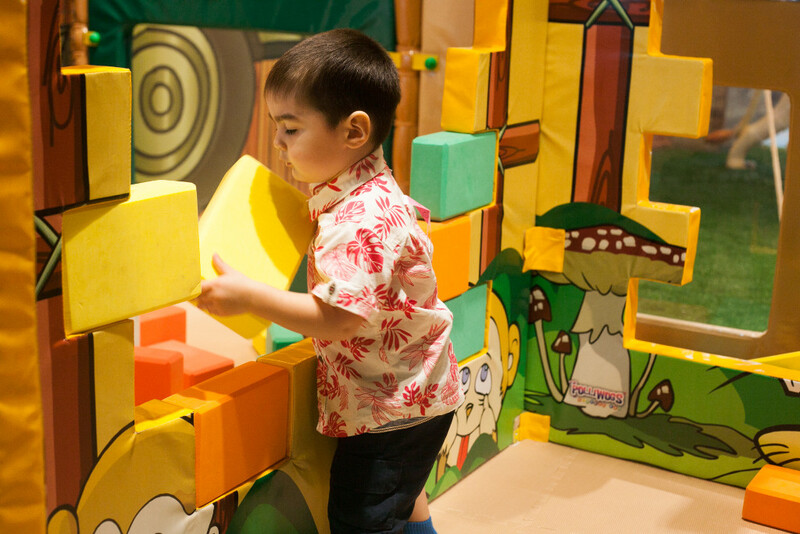 It’s filled with cool activities for littler ones up to 90 cm tall. The entire junior area is very well padded so no worries about little ones falling and hurting themselves. 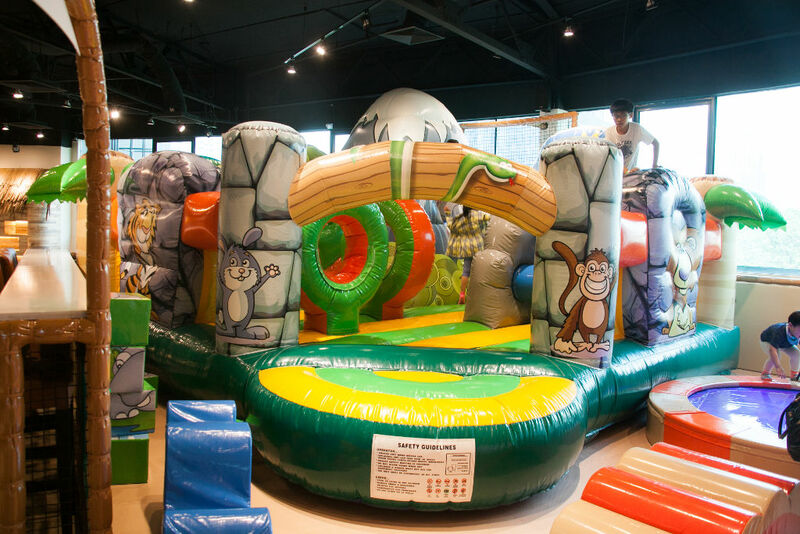 Taking up a huge part of the toddler space is a safari-themed bouncy castle with a tiny climbing wall, slide, huge rollers and hoops for kiddies to explore. It was the first time I saw Elliott scale a ‘wall’ and he did rather well, I thought. Some other unique features that Elliott really liked included a little slide with water flowing underneath the plastic. It’s like playing on a water slide − one of his favourite activities − without actually getting wet! Another activity that had Elliott chuckling a lot was a little house with foam building bricks. It’s not only a neat challenge for little Bob the Builders, but also great entertainment for mischievous destroyers who enjoy tearing and kicking down walls. No prizes for guessing which my little demolition man prefers! 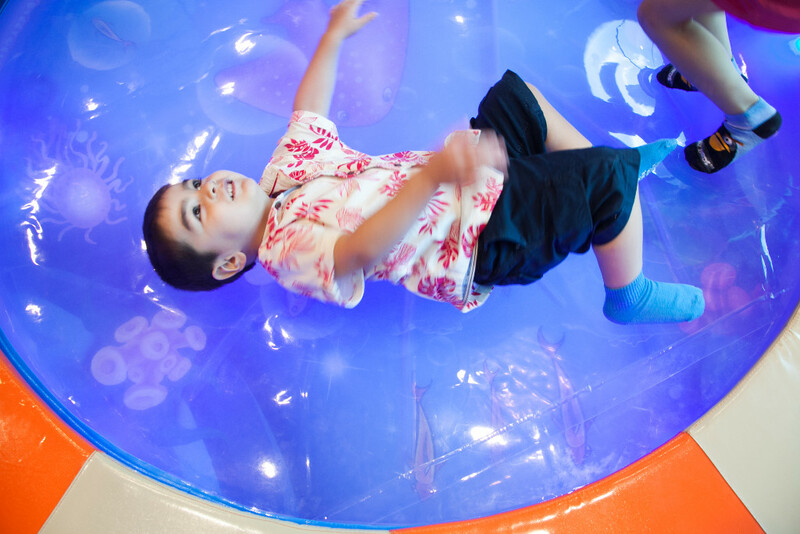 There’s also a really unique ‘jumping bed’ that lets kids feel like they’re bouncing on a bowl of jello. If you peek through the translucent material, you’ll see lots of cute sea creatures underneath. 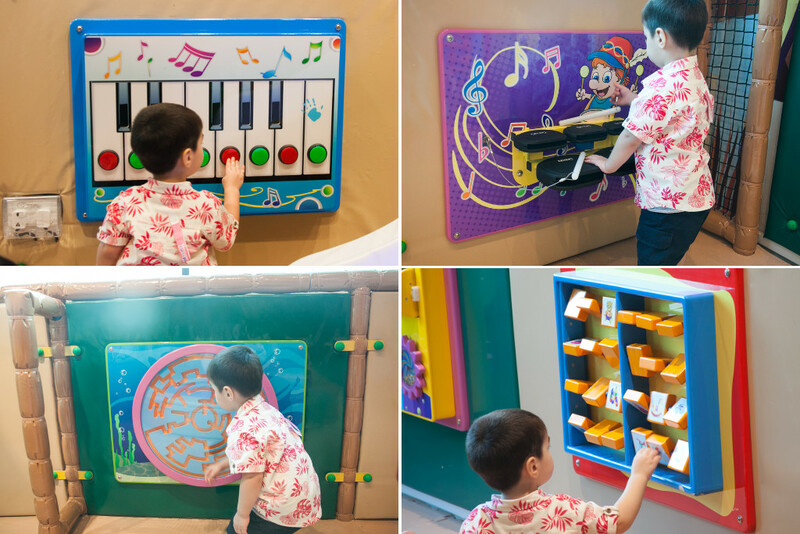 The area is also packed with a lot of fun sensory games, with buttons and dials on the walls, match-the-tiles games, and a digital wall piano that little fingers love fiddling with. 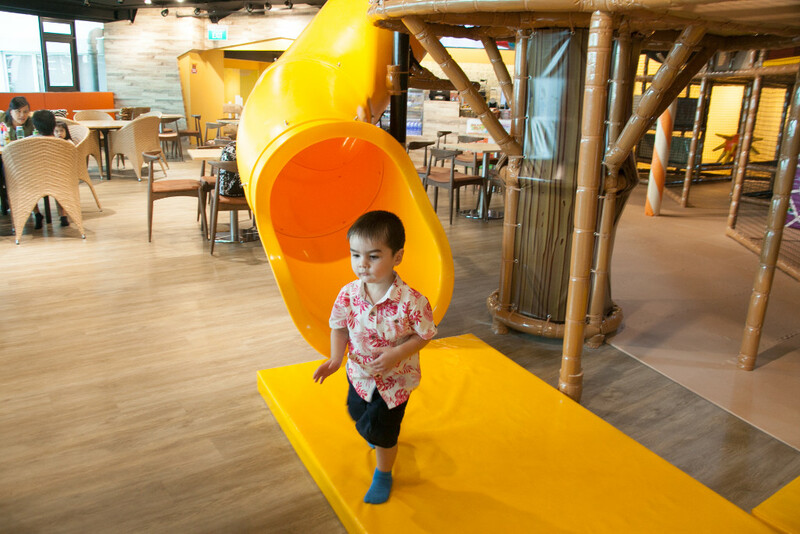 The main play area is recommended for kids between five and 12 years of age. 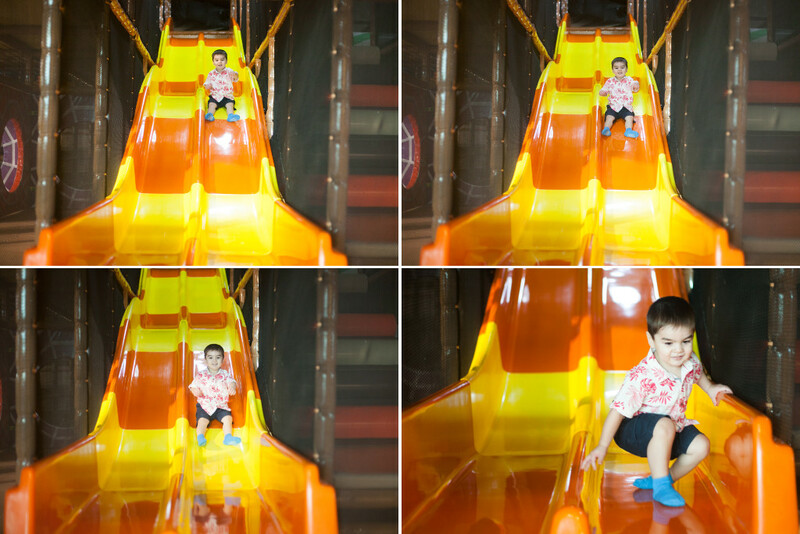 It is a two-level climbing structure with various obstacles, tunnels and slides to get through. 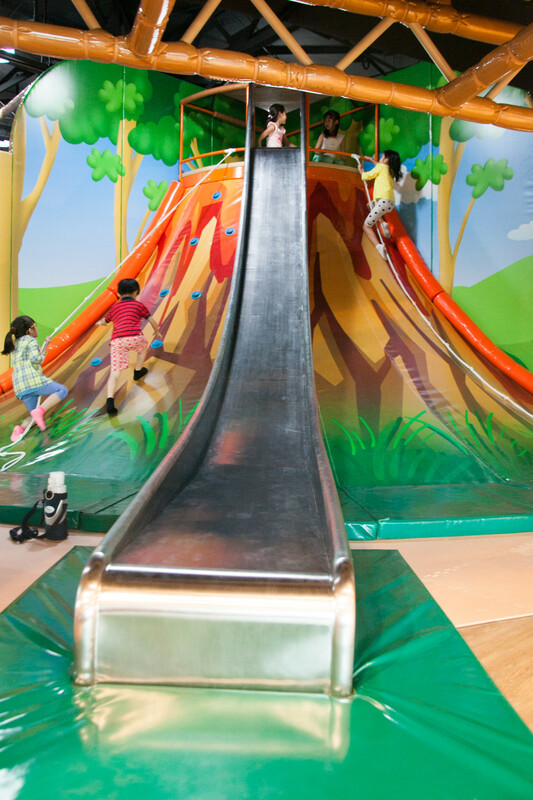 One of the focal points at the Main Play Area is the volcano slide. You have to climb up a volcano using the help of a rope, before sliding down the metallic slide. 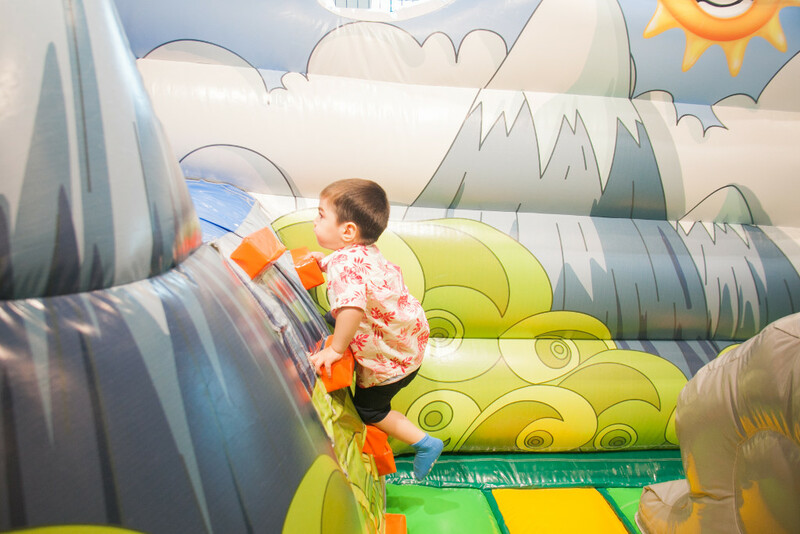 It looks dangerous for little ones but is actually really safe as the volcano is made out of the same materials used in the bouncy castle. It’s not really solid and hard at all! The other popular feature here is the wave slide. 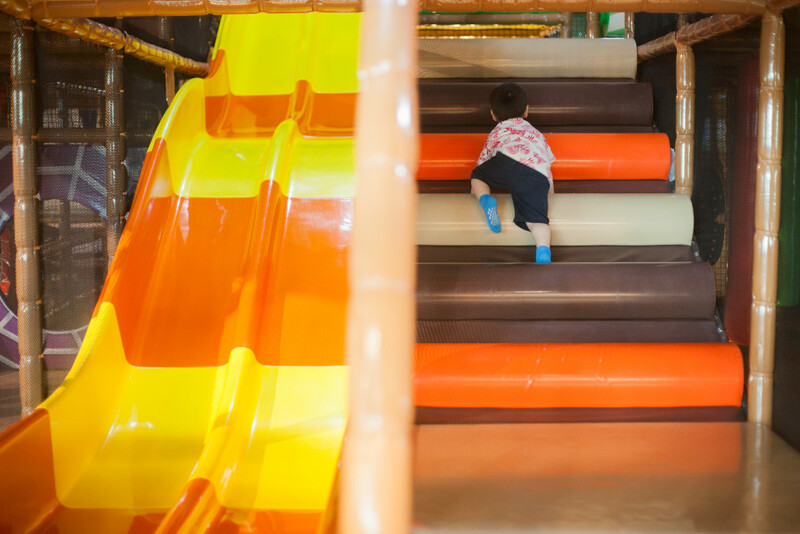 Although it’s meant for kids five and up, it’s actually pretty safe for an agile two-year-old too. Elliott must have gone up and down that wave slide a hundred times before I could tear him away from it to go exploring more with me. 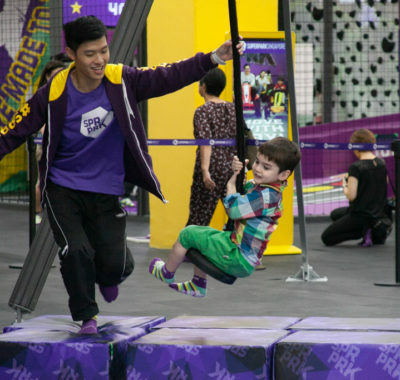 Another more challenging feature is a long trampoline-looking slide where kids can run and jump up to the next level, slightly reminiscent of the ‘warped wall’ in the TV series Ninja Warriors. Elliott had fun running up and down the trampoline but alas, his legs are still too short to make the final jump to get upstairs. It was too slippery to cheat climb his way up either. There was a point somewhere when I turned around and realised that I’d lost sight of my little adventurer. I ran all over frantically calling his name. Finally I looked up and there he was, staring right back at me. He was stuck in one of the tubes on the second level, looking a little like a lost hamster! So from below, I guided my silly boy across the different tunnels and bridges all the way to a tube slide where he emerged safely at last. Next we discovered a magical air mattress trampoline with rainbow lights coming from underneath. 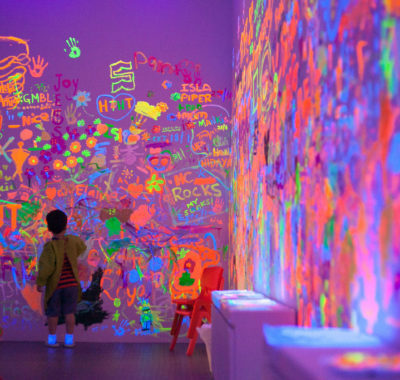 Elliott was mesmerised by the glowing lights that constantly changed colours. We hung around there for a while before heading over to the adventure course area. 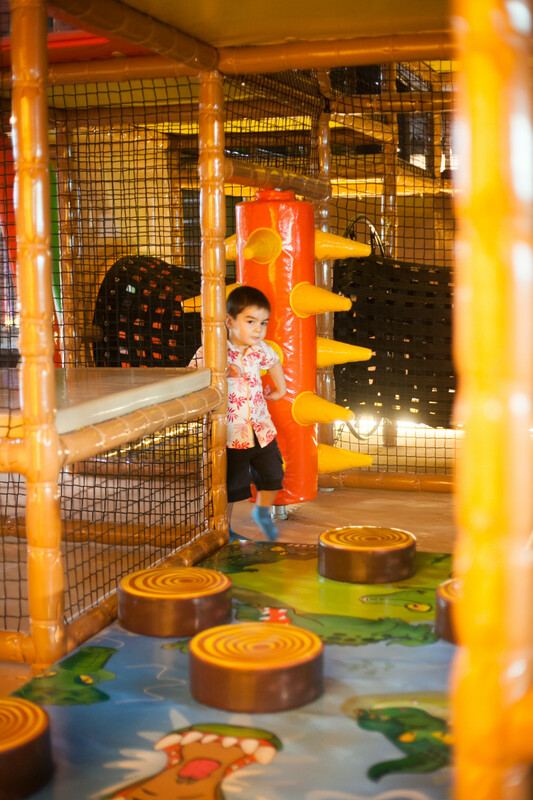 We didn’t spend much time at the Waka Adventure Cove as it was for kids aged four and above. But looking at how much fun the older kids were having, Elliott can’t wait to turn four! There are three main features here, and additional fees are applicable. 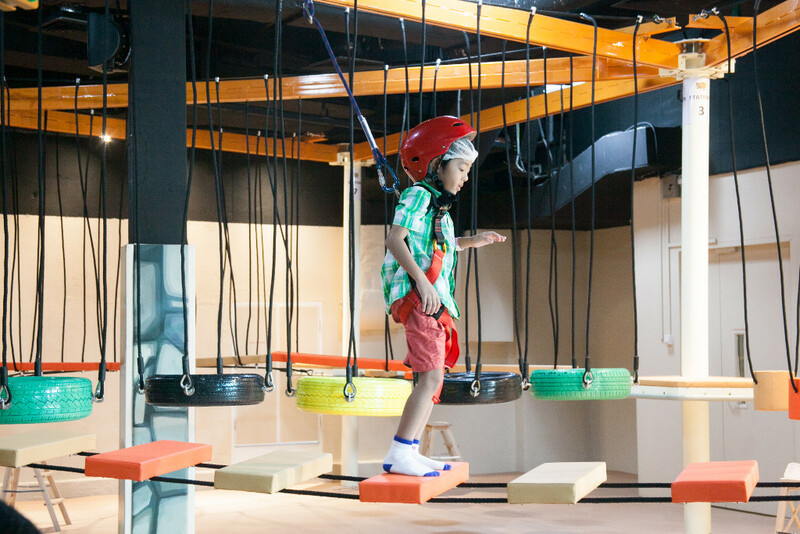 First is the Rope Adventure where kids can test their fear of heights. 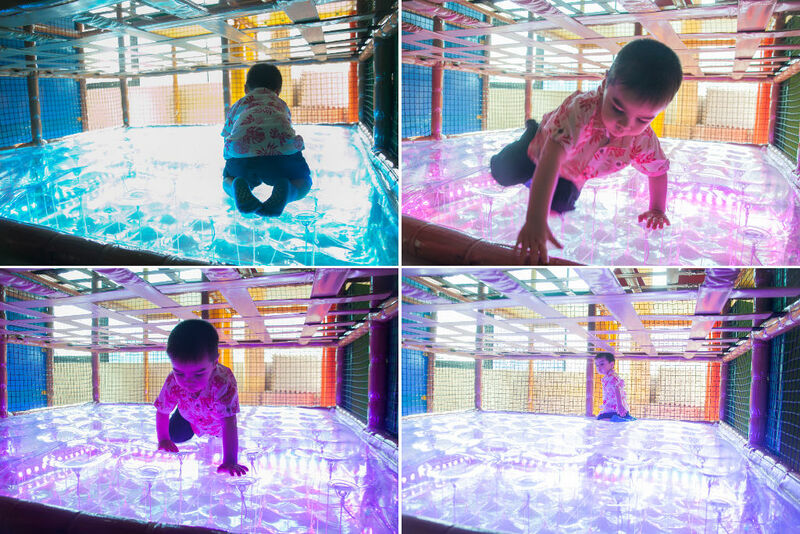 This challenge requires lots of balance and coordination, and parents can try it out too. 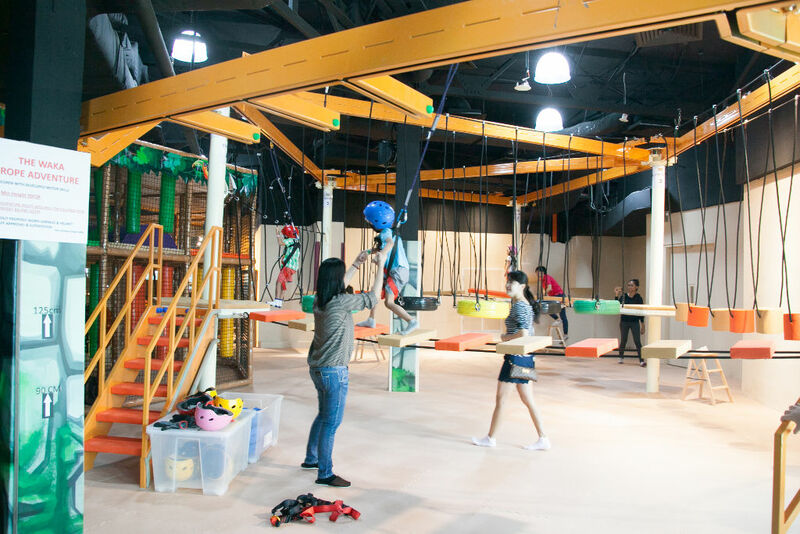 The assistants at Waka Waka will help kids put on a harness and helmet so that they can get through the adventure circuit safely. Next is the Totem Challenge, a series of vertical beams that vary in heights. Once you make it to the very highest one, your challenge is to take a final leap of faith! 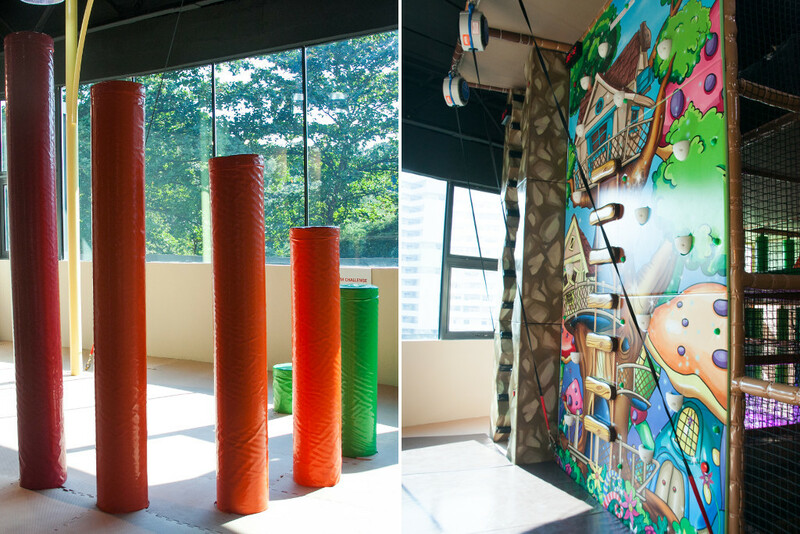 The last is the Wall Adventure, three differently themed climbing walls. 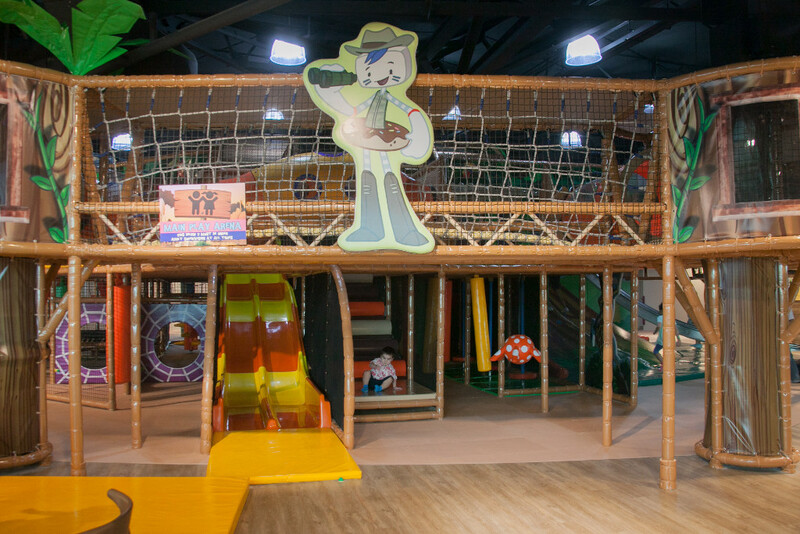 You can challenge your friends up the two-metre-high wall for some rock climbing fun! 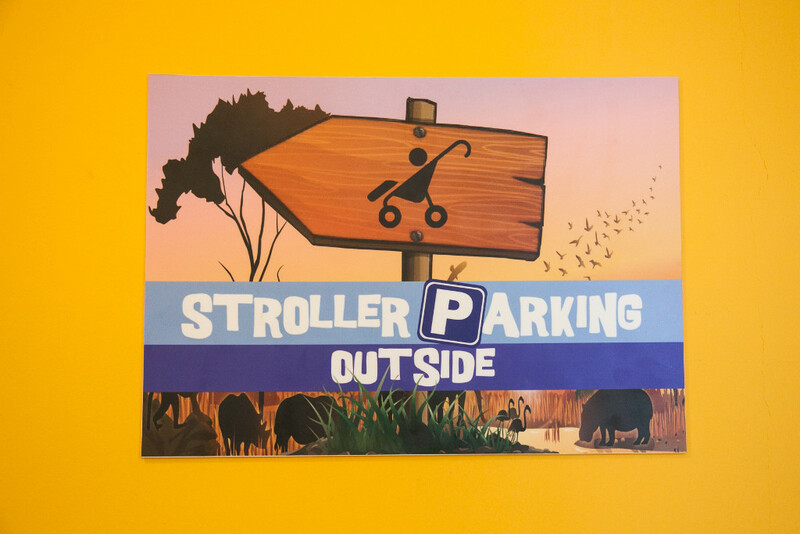 As no shoes or strollers are allowed within the Waka Waka premises, there is a shoe rack and stroller parking area just outside the entrance for your convenience. Both kids and adults should have socks on before entering. 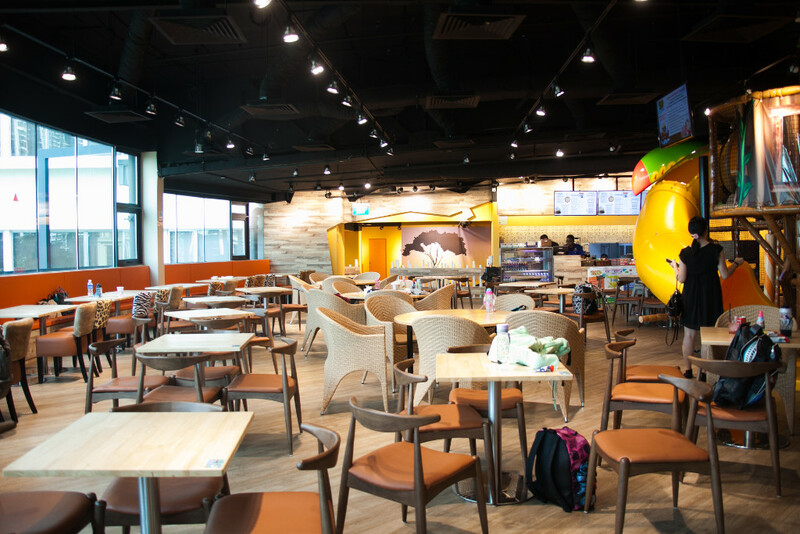 There is also a huge Parents Chillax café where adults can sit back and enjoy a cup of coffee. The menu includes soups and salads, pizza and pasta, sandwiches, burgers and more. Kids will love the mac ‘n’ cheese and hotdogs too. 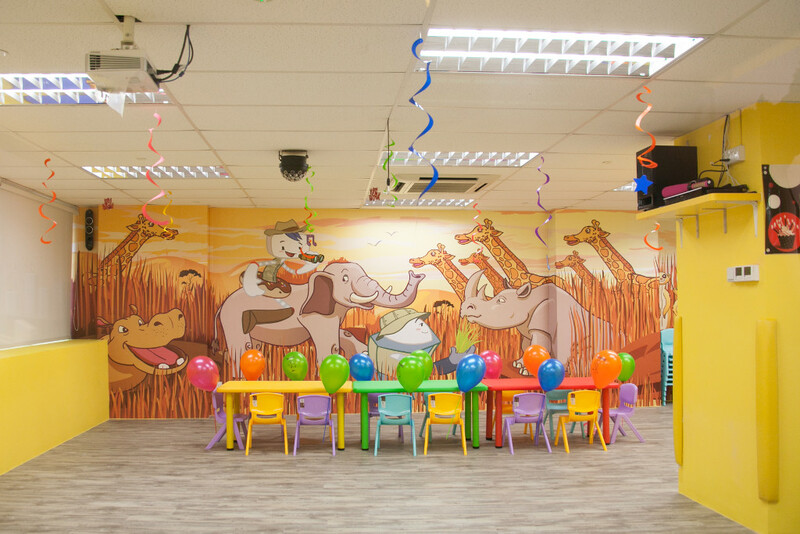 There is also a spacious party room with safari-themed wallpaper to match. You can consider throwing a True Polliwogian Super Party here on your kids’ next birthday. 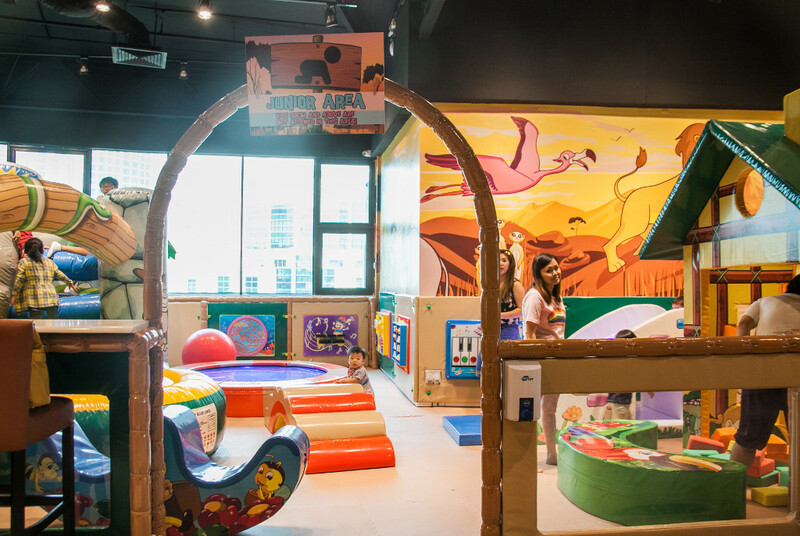 Other than all the fun stuff, there are plenty of wide open padded spaces for the kids to enjoy, as well as toilets, nursing and changing rooms on the premises. 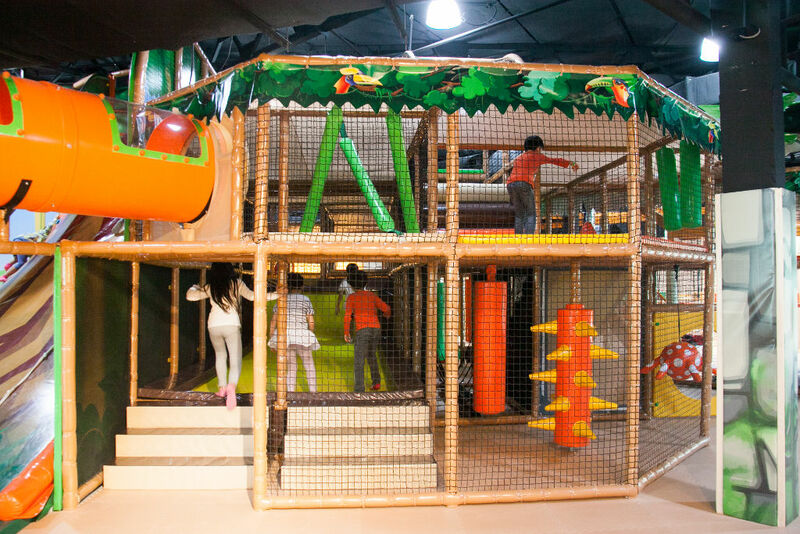 Waka Waka is basically the biggest and most fun of all The Polliwogs indoor play arenas we’ve been to. More importantly, it is also Elliott’s favourite so far. We’ll definitely be back again!